Kevin Stratton is a pilot with Missionary Flights International who served with Samaritan’s Purse for a month in Africa. I volunteered to go to Africa to fly immediately after I was told about the opportunity. When my wife and I first felt God’s call into mission aviation, we believed He was calling our family to serve Him overseas. That obviously was not what He intended, and we’re blessed to be able to serve at Missionary Flights International in Florida. However, a short-term opportunity to fly in Africa was a chance I couldn’t pass up. 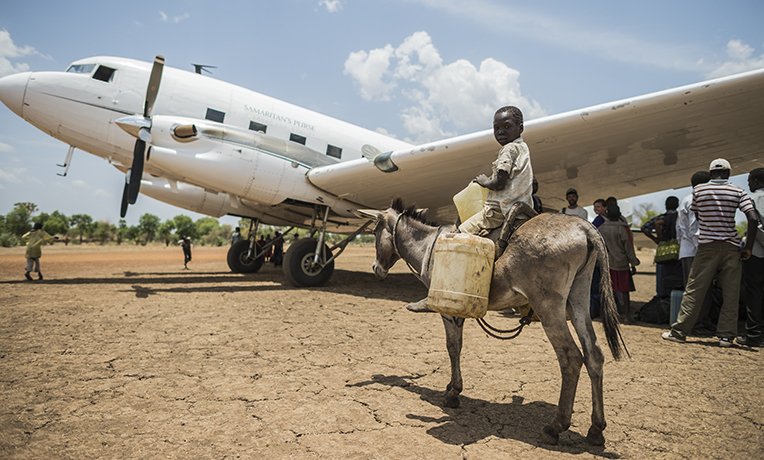 I spent four weeks in Eldoret, Kenya, flying supplies up to South Sudan two to three times per week. The flying here is tough and demanding because the work is based in Juba, South Sudan, but the plane is based in Eldoret. That means I spent many nights away and lots of time installing and removing seats, loading and unloading cargo, and transporting fuel. 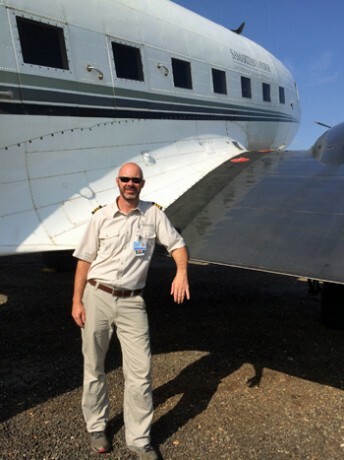 Kevin flew supplies, such as parts for wells, into South Sudan for a month with Samaritan’s Purse. FIND OUT MORE about the work we’re doing in South Sudan. Samaritan’s Purse is doing amazing things in South Sudan for the refugees and internally displaced people. These are people who no longer have homes because of war. They now live in tents surrounded by swamps (in many areas) with no way to work or feed themselves. And while Samaritan’s Purse feeds them, clothes them, and treats their medical needs, they also share with them about Christ. On some personal notes, the food was good and Kenyans are the friendliest group of people I have ever met. They all greet you with a smile and a big handshake. The weather in Eldoret is also perfect—cool in the mornings and throughout the day with a light breeze. We might be on the Equator, but 7,000 feet counteracts any negative effects of that quite easily. I will miss this weather. And ultimately, I’m glad I didn’t have to drive to Juba. That would be insanity.